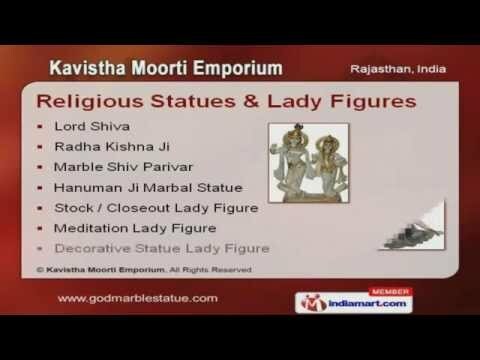 Welcome to Kavistha Moorti Emporium, Manufacturer and Exporter of Marble Statue and Handicraft Items. The company was established in 1961. Our Innovative designs, Customized solution and Superior quality products make us unique in the industries. Ethical business policies, talented team of designers and artisans make us the first choice of our clients. We offer a vast range of Religious Statues, Decorative and Navgrah Items. Our Religious Statues and Lady Figures are best in the industry amongst others. We are specialized in manufacturing Decorative and Navgrah Items. Our clients can avail from us an exquisite range of Marble Handicrafts. Modern Marble Work offered by us are widely appreciated in the market. Along with that we offer Ram Pariwar that are one of the best in the market.